One of my overall reading goals is to continue to read diversely and use my voice to boost these stories, so when I saw that four of my blogging faves created the Year of the Asian Reading Challenge, I knew that I had to take part! The goal of the YARC is to read as many books written by Asian authors as you can in 2019 and is co-hosted by CW @ The Quiet Pond, Lily @ Sprinkles of Dreams, Shealea @ Shut Up, Shealea, and Vicky @ Vicky Who Reads. 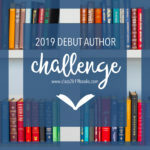 The challenge was created to celebrate Asian literature and Asian authors, and I am so excited to be taking part! I decided to focus on the books on my owned TBR that are written by Asian authors, which is currently at thirteen titles! I know that I will be tempted by more books as the year continues, so my overall challenge goal will be Malayan tapir: 21 to 30 books read. Note: I read digital ARCs for The Gilded Wolves and A Spark of White Fire in 2018 but plan on reading both of the finished copies this year. I originally was going to include A House of Rage and Sorrow on this list because it is one of my most anticipated releases for the year, but the cover hasn’t been revealed. It should come as no surprise that I made a spreadsheet specifically for this challenge. I just really like data and tracking things, okay? If you want to check my progress on the challenge you are welcome to check out my spreadsheet! I mainly wanted to track my progress on my YARC TBR because I know myself and will probably get distracted by other books down the road! I sincerely want to prioritize these 15 books on my owned TBR to the best of my ability, and at the end of the year I want to track breakdowns on author gender, countries represented, and my genre reading directly related to this challenge. Will you be participating in the Year of the Asian Reading Challenge? If so, what books are you most excited to read this year?! Cool. I hadn’t heard about this reading challenge, but I’m trying to focus on diversity in my book reviews so this is terrific. One question: do the authors have to currently reside in Asian countries, or can they be of Asian descent? For example, I recently finished The Widows of Malabar Hill by Sujata Massey. According to her bio, her parents are from India and Germany, but she was born and raised in the U.S. This counts, right? Hey, I’m Shealea, one of the organizers of YARC. Thank you so much for answering Meredith’s question, Shealea! I AM SO EXCITED FOR THIS READING CHALLENGE!!! And true to brand, you’ve made an awesome spreadsheet that I might just have to steal and use myself (if that’s okay???). Your TBR for YARC looks amazing, btw!! YES OFC YOU CAN USE MY SPREADSHEET IF YOU WANT IT! Thanks so much and I can’t wait to see your TBR! YESHHHHH!!! I’m seriously hoarding all of your spreadsheets over here, nbd. Haha. Awww that makes me so happy, thank you! This is a great lost! Seeing A Spark of White Fire and Empire of Sand there makes me so happy! When I found out about the Indian rep in these books I was so excited! It was such an amazing feeling to read about my culture and its myths. Happy reading! A Spark of White Fire is SO GOOD, I really enjoyed it and am excited to read a finished copy of it (I read an ARC) in advance of the second book later this year! I’m not doing YARC this year because I’m doing my own personal challenge – I’m trying to read more South East Asian books by authors from and living in SEA (I don’t know why, but a lot of Asian books I see are by Asian diaspora, which means the themes they end up dealing with are fairly similar and not as relatable to me). Finding Singaporean books are easy now that I’m back but I’m having problems finding books from authors round the region :p Gotta check out the books you mentioned and see if they fit! These covers are all so pretty, I agree!!! I love your personal reading challenge and good luck finding books that fit! I love this so much! I, too, want to read more diversely this year. I don’t know if I can afford reading new releases exclusively but I do have some backlist books that are by marginalized groups. Ugh. I love that you made spreadsheets. Perfection. Yea mostly my list is actually made up of backlist titles I already own, most I nabbed during Kindle sales! I wanted to approach my TBR for the challenge in a way to help me tackle my owned TBR a bit, so this was perfect for me! I saw this challenge posted about on Twitter! I wanna read some of the books on your list 😊 and your tracking sheet is very impressive, thanks for sharing it!!! Thank you so much, and happy reading!!! Awww Aimee, you are too sweet thank you!!! The Gilded Wolves is incredible (but yea the worldbuilding can be a little confusing), and I am so excited to hear you enjoyed Warcross! Happy reading, beautiful! Amazing post! I’ve haven’t read any of them adding few to my tbr list. Thank you so much, and happy reading! I am true to my brand! Do join, I would love to see your TBR! So happy you’re participating! Not going to lie, I feel a teensy bit starstruck. Happy reading, Kaleena! Starstruck?! WHAT?! Puh-lease. I am so excited for this challenge and you ladies did an incredible job putting this together! Yay, spreadsheets! I thought about join6this challenge too since I already have quite a few books by Asian authors in my TBR pile and list of coming books for this year. But knowing me I would get hypercompetitive and neglect all my other reads haha. Have fun with this one and good luck! Yea I am worried about being hyper competitive, too. Haha. That’s partially why I made my TBR from my owned-tbr (two birds one stone! ), but it works for me. I think. Maybe. That makes sense! Haha, good luck! I am really excited to read Want, I am hoping to read it before the sequel comes out in a couple of months~! I would love to BR Ignite the Stars with you! *bows* Honestly though, I just gotta stay consistent with my brand! All these covers are beautiful and I love that they grace my shelves, and am really excited for them! Good luck with your school stuff and hopefully later you can join in! Already have two ticked off – YAY. YAY for already reading 2 books by Asian authors! Unofficial participation is fun too, and the great thing is you can get a badge for reading one book… winner! Hahah, I already succeeded! YAY ME! I might end up making it official anyway. If only so I can post a list with all the books by Asian authors I still have on my TBR and such. :’) We’ll see! The moment my pregnancy leave starts, I’ll end up in blog prep mode and be all over things like this.. Probably.. Knowing me..
Definitely support you making an owned tbr like mine! You may not have time to read them all but that’s okay! I’m actually doing it RIGHT NOW, haha! I am also a mood reader, so I figured it would be best to just be like “I OWN THESE AND WANT TO READ THEM”. 12 months to do it! Thank you so much Marie, and I am really hoping to read Want soon because the sequel comes out soon. Happy reading as well, love! Oh this sounds awesome! I actually just got a copy of The Gilded Wolves and there are still a few books in my bookcase by Asian authors. Definitely going to give it a try! Definitely give it a try, you can easily earn the first badge because it just requires one book read! Happy reading, Michelle! THIS SOUNDS AMAZING! I personally wont be doing the challenge simply because I don’t think I will have enough time this year to get to all of them, but I am certainly going to participate from the sidelines at my snail pace! Can’t wait to see your thoughts on all of these amazing books! YAY thanks for your support and happy reading, Sam! That is such an awesome TBR, I loved Girls of Paper and Fire. Your spreadsheets are amazing btw! Hi Sophie, and yay for Girls of Paper and Fire! I hope we both enjoy reading it! Thanks so much for your comment, and I hope I enjoy Warcross, too.